Due to copyright requirements I can only provide a link to this excellent article. For the complete article follow this link. The work is part of a global effort by 12 international engineering consortia representing 500 engineers and scientists in 20 countries. 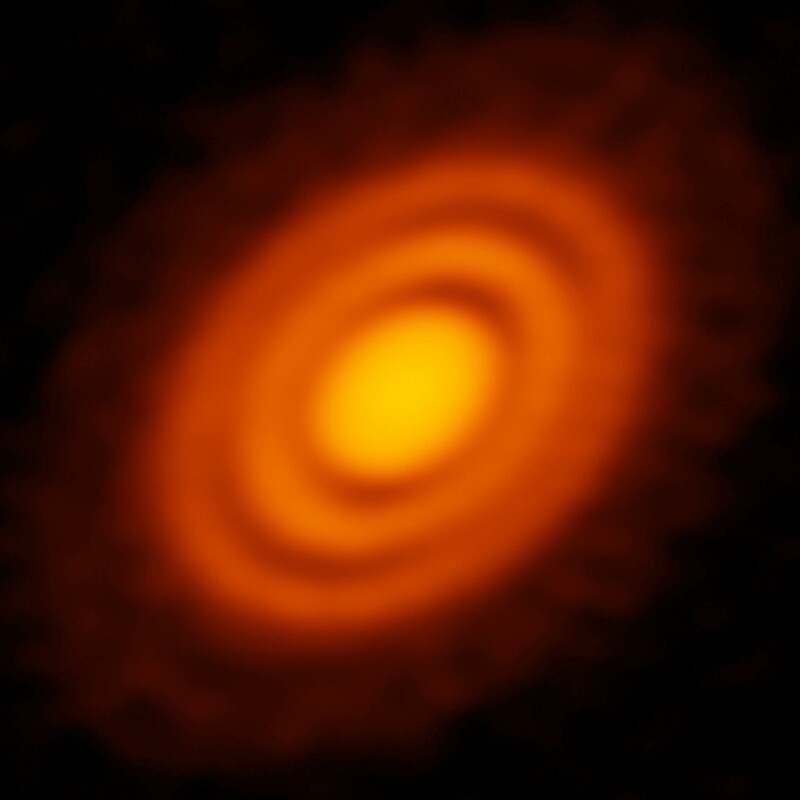 Over the past several years, the Atacama Large Millimeter/submillimeter Array (ALMA) has transformed our understanding of protoplanetary disks - the gas and dust-filled planet factories that encircle young stars. The rings and gaps in these disks provide intriguing circumstantial evidence for the presence of planets. Other phenomena, however, could account for these tantalizing features. Galaxy 13.28 billion light-years away shows surprising signs of chemical maturity. 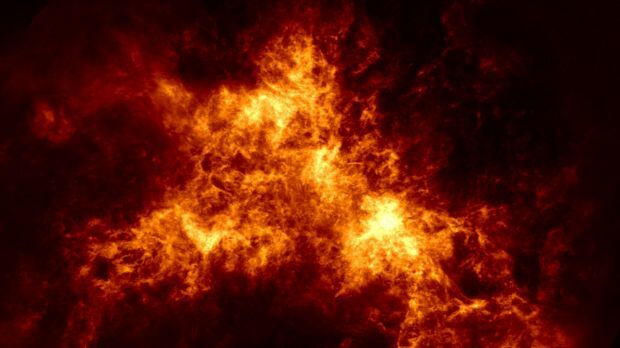 South Africa’s MeerKAT radio telescope observes a rare burst of activity from an exotic star, demonstrating outstanding capabilities as a new instrument for scientific exploration. An article published today in The Astrophysical Journal presents the study of a magnetar – a star that is one of the most magnetic objects known in the universe – that awoke in 2017 from a 3-year slumber. 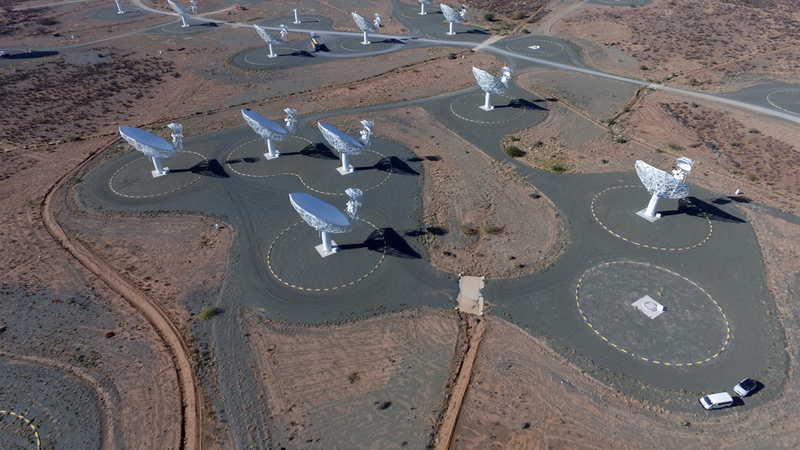 Radio observations that could only be made with MeerKAT, a telescope being built in the Northern Cape province of South Africa, triggered observations with NASA X-ray telescopes orbiting the Earth. This first publication in the scientific literature of astronomical discoveries requiring the use of MeerKAT heralds its arrival into the stable of world-class research instruments. Dr Fernando Camilo, Chief Scientist at the South African Radio Astronomy Observatory (SARAO, which includes the Square Kilometre Array South Africa project), describes the setting one year ago: “On 26 April 2017, while monitoring the long-dormant magnetar with the CSIRO Parkes Radio Telescope in Australia, one of our colleagues noticed that it was emitting bright radio pulses every 4 seconds”. A few days later Parkes underwent a planned month-long maintenance shutdown. Although MeerKAT was still under construction, with no more than 16 of its eventual 64 radio dishes available, the commissioning team started regular monitoring of the star 30,000 light years from Earth. According to Camilo, “the MeerKAT observations proved critical to make sense of the few X-ray photons we captured with NASA’s orbiting telescopes – for the first time X-ray pulses have been detected from this star, every 4 seconds. Put together, the observations reported today help us to develop a better picture of the behaviour of matter in unbelievably extreme physical conditions, completely unlike any that can be experienced on Earth”. The recent visit to our Solar System by the cometary fragment known as 'Oumuamua late last year proved to be very interesting. Rather than being spherical it was a long slender object about 4 kilometers in length. Its reflectivity was quite low indicating it was made of dark material and likely had no icy structure. 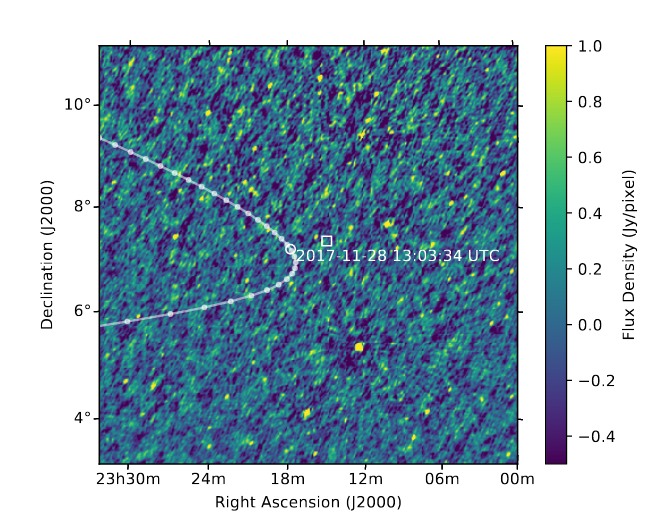 The ability of the Murchison Widefield Array radio telescope to view a large area of the sky and its large frequency coverage meant there was a possibility of detecting radio transmissions that might have come from 'Oumuamua. 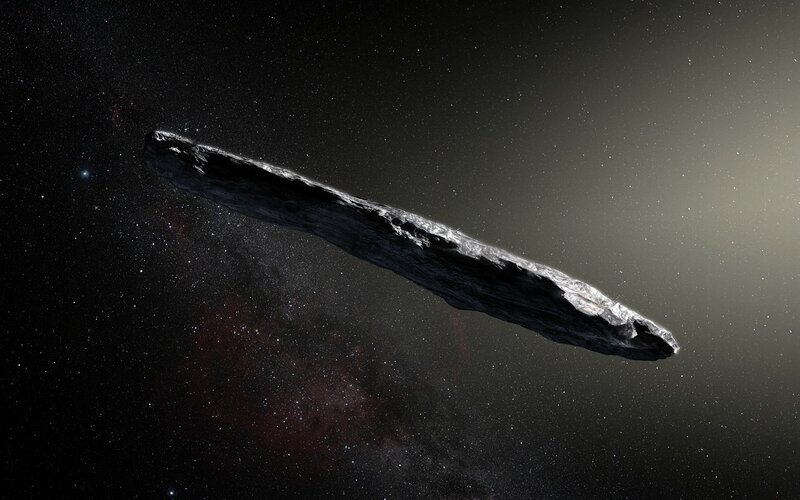 A paper was written detailing the examination of recorded data from the MWA during the time that 'Oumuamua was in range of Earth. Click here for the pdf of the publication. While not strictly 'News', I found a great little Youtube video of a visit to one of the dishes at Kitt Peak that make up the Very Long Baseline Array. As 2017 comes to an end we can look back on a busy but productive year across the Square Kilometre Array project. You can read all about recent developments from across the project in the latest edition of our newsletter, as well as news from the central Office in the latest edition of the SKAO Bulletin, our bi-monthly project update from the SKA Headquarters at Jodrell Bank, UK - seen above a few days ago after some heavy snow! This is also an opportunity to mention we are currently recruiting for several roles within the SKA Office, which you can view here. I would encourage you to apply or distribute them within your professional networks. Finally, I also invite you to read two feature stories we published earlier this week on some of the design activities for the two SKA telescopes. In addition to providing insights into the technical complexities, logistics and practical challenges of bringing together hardware coming from different parts of the world, this two-part series truly reflects the international nature of these two particular elements, and more generally of our project. 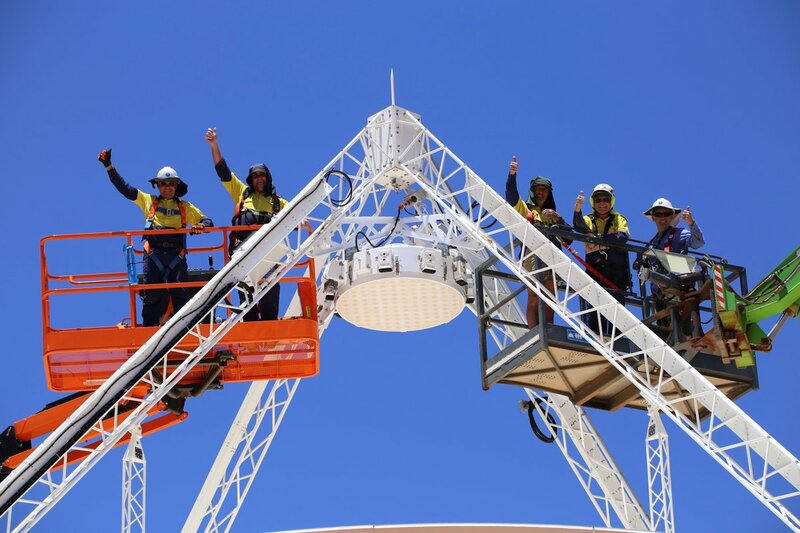 From lab to Outback: The story of AAVS1 so far covers some of the developments towards the SKA1-low telescope in Australia and Across 18 time zones: a global effort to deliver a dish prototype covers some of the developments towards SKA1-mid in South Africa. 2018, I am sure, will be an exciting and, as always, eventful year for the SKA. I wish you season’s greetings and thank you for your continued support. Australian National University astronomer Professor Naomi McClure-Griffiths and her team have used the ASKAP to image part of the Small Magellanic Cloud. She said on her Twitter page 'It's particularly incredible to me that this SMC #ASKAP image is a single field-of-view. The last time the SMC was imaged in HI it took 320 pointings with the ATCA'. From an article in the Sydney Morning Herald 'The Milky Way has to eat galaxies to keep building stars. Our galaxy needs food, and these are kind of snacks'. Professor McClure-Griffiths and her team are interested in how galaxies form, and how they die. The best way to find that out, they say, is to follow the hydrogen. Hydrogen fuels stars and is the basic building block of all galaxies. Inside a galaxy it swirls around until it is compressed by gravity into a new star. 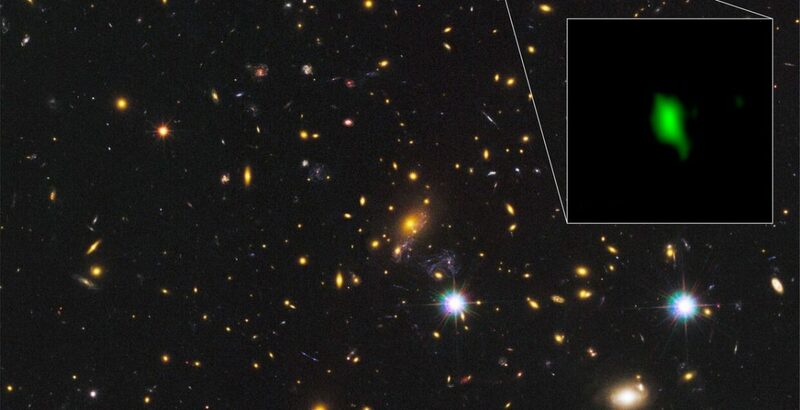 A galaxy that has a lot of hydrogen can make new stars and expand in size. 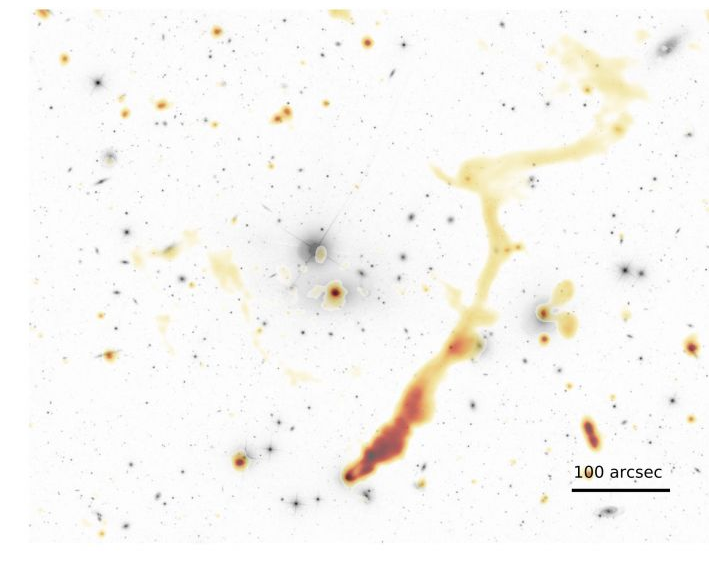 The team is studying the Small Magellanic​ Cloud, a dwarf galaxy that orbits the Milky Way. The Cloud has several hundred million stars – a small fry compared to the Milky Way's hundreds of billions. On Tuesday 21st November, our 36th PAF was installed on AK #29 marking the completion of installation of all receivers for ASKAP-36! Earlier this month, our last PAF (PAF # 40 – our second spare PAF), passed functional and EMI testing signifying the end of the PAF production testing at Marsfield. By the end of the month we will also be shipping the Jodrell Bank PAF to UK to complete our contract with Jodrell Bank Observatory (after having completed our Max Plank Institute contract in 2016). All of these milestones are very significant not just for all of the team members who have worked very hard for a number of years to bring this to fruition, but I am sure also for all of CASS and for its stakeholders awaiting this momentous occasion for some time. There is no better way to finish off 2017. - Thanks again and Happy 36th! Article taken from the ATNF Daily Image page. 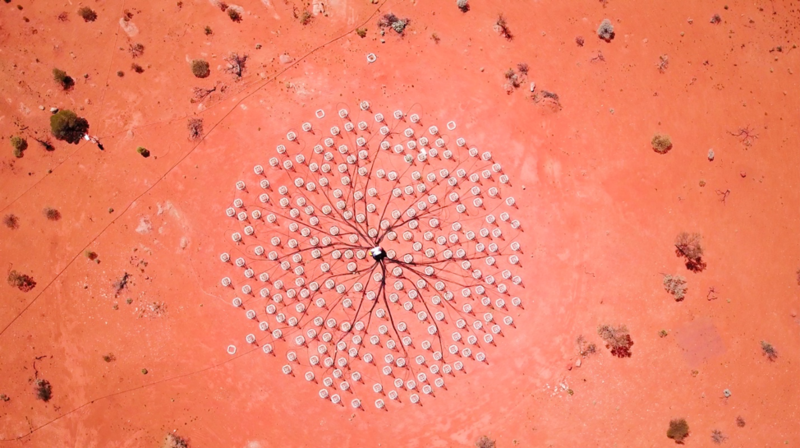 Click here to find out more about ASKAP and the Phased Array Feed.